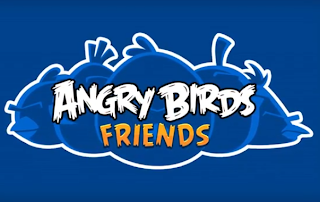 Angry Birds Friends coming to Android and iOS on May the 2nd. If you haven't heard of those Angry birds by now, firstly where have you been and secondly what are you waiting for, there's always room for a mobile game addiction! Anyway obsession aside, Rovio is releasing another game into their Angry Birds franchise and the latest one will see you compete against your friends! Some of you might have actually experienced the game already, as Angry Birds Friends is available on Facebook, but soon you'll be able to test you pig popping skills when you're out and about! The game will offer high score rankings with the best scores being recorded in weekly tournaments and you'll be award virtual medals if you're a winner! If you're interested in the game then you can get it on Android or iOS from May the 2nd and if you can't wait until then the teaser below will have to suffice!